Hiram Rhodes Revels of Mississippi was the first black elected as a United States senator, serving from 1870-1871 as a Republican. Revels completed the unfinished term of Jefferson Davis who was the former president of the confederacy. Revels was followed in the Senate by Republican Blanche K. Bruce, also of Mississippi. Republican Joseph Rainey of South Carolina was the first black to enter the House of Representatives. 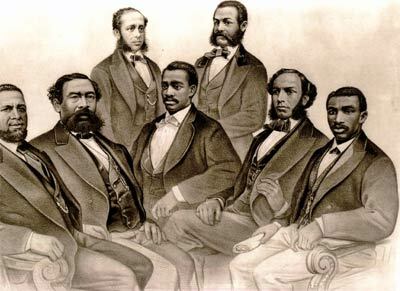 Below is a list of the black Republicans elected to Congress during the Reconstruction era. Their lifespan is shown in parenthesis.